Tony is an Alumni of the University of Dubuque, where he earned a bachelor’s degree in Education. After college however, his life took him down the unexpected path of a successful career as an actor. Many years later, Tony decided to return to his educational roots and volunteered for Teach for America. 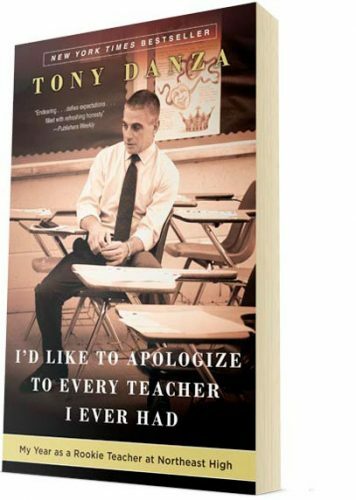 I’d Like to Apologize to Every Teacher I Ever Had is his absorbing account of the year Tony spent teaching tenth-grade English at Northeast High – Philadelphia’s most diverse and largest high school. Featuring indelible portraits of students and teachers alike, I’d Like to Apologize to Every Teacher I Ever Had reveals just how hard it is to keep today’s technologically savvy – and often alienated – students engaged, how impressively committed most teachers are, and the outsized role counseling plays in a teacher’s day, given the psychological burdens many students carry. The book also makes vivid how a modern high school works, showing Tony in a myriad of roles – from lecturing on To Kill a Mockingbird to “coaching” the football team to organizing a talent show to leading far-flung field trips to hosting teacher gripe sessions. In the Danza family, the men did most of the cooking — great Italian-American food that has remained the favorite cuisine in American households for more than a century. 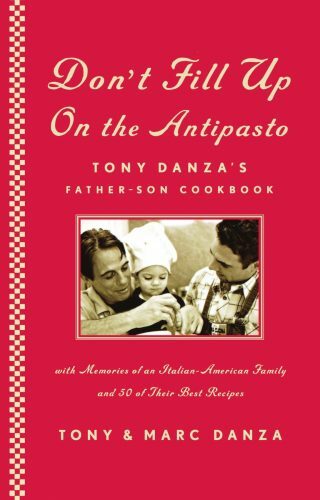 Tony and his son, Marc, invite you into the kitchen with their huge, at times hilarious, Italian-American clan for 50 top-secret family recipes (the sauce and the lasagna) and never-before-shared stories and photographs. You’ll meet Tony’s mom and dad, and Tony’s mom’s family, the Camisas. You’ll meet Marc’s family and of course his son, Nicholas. You’ll meet the uncles, the aunts, and the cousins, all important people in Tony’s and Marc’s upbringing. You’ll read stories about an Italian immigrant family that grew strong in America and really lived the American dream. The stories are, for the most part, wrapped around the recipes and the food that was the center of family life: Uncle John’s Pasta with Prosciutto Sauce, Mother’s Lasagna, Chicken with Lemon and Garlic, Holiday Antipasto, Roasted Chicken and Potatoes, Escarole and Bean Soup, Ricotta Cheesecake, and even Tony and Marc’s Quick or Date Sauce, a fabulous tomato sauce that’s fast, easy, and sure to help you impress the ladies.